Two and a half years ago my brother took me for my first trail run. I was a couple weeks out from a road marathon, confident and fit. We ran six trail miles and I was wrecked...but hooked. I bought a Forest Park trail map and spent every weekend getting familiar with my home trails. There was no looking back; trails were my new game. 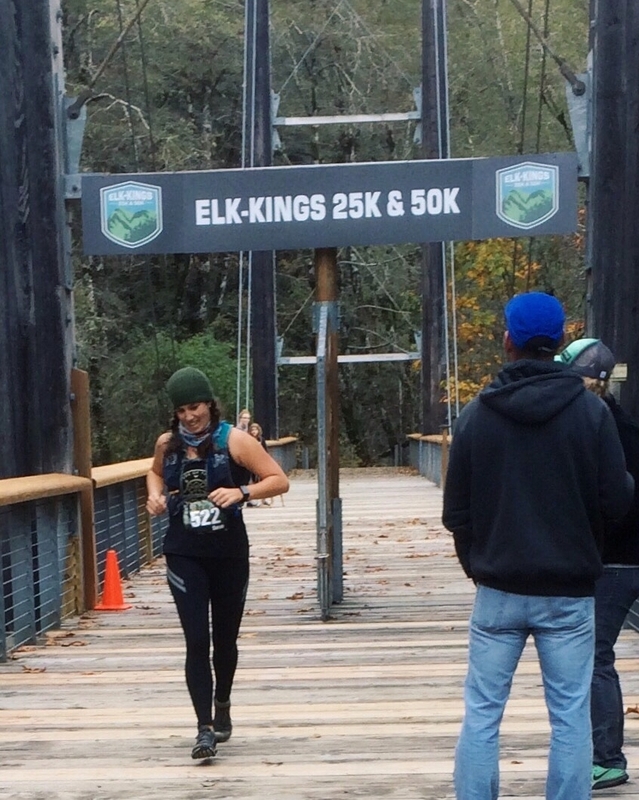 Seven months after that trail run I ran my first 50k. I finished and felt invincible, so I registered and began training for a second one immediately. But just three weeks later it all changed; I injured my ankle and my training partner, and only trail buddy, was not interested in another 50k yet. I suddenly felt rudderless and alone and realized I needed support. My Physical Therapist suggested I find a running coach who could help customize a training plan and give me guidance in the process. That search eventually lead me to the Wy’East Wolfpack, a local Portland coaching and training company. I emailed the Wy’East Wolfpack about my upcoming 50k goal, and filled them in on my recent 50k finish and my ankle throwing an unwanted twist in the trajectory. The response I received came from Lead Wolf Willie McBride. He invited me to meet in person the next week. I expected a sales pitch, a price tag, and a decision to make. Instead, I was welcomed into a community. Training for my next race led to a series of adventures that connected me with the local trail running community. I have never felt so immediately welcomed in my life and quickly found myself part of something much bigger than just a group. I became a trail runner, no longer someone who simply runs trails. Trail runners are a special breed of people and treat each other the way I believe all humans should. Everyone I meet seems genuinely interested in my story. There are opportunities throughout the week to gather for a social run with other trail runners of all abilities and backgrounds. At one such run, a woman I’d only ever met in passing asked what I was training for. I remember feeling surprised she seemed to have such intimate knowledge of the course. “You’ve run it?” I asked. She had. In fact, it turned out she had quite the resume of races, including several hundred milers. And yet, our conversation was easy; I never felt judged and she was never condescending or elitist. She showed genuine excitement and enthusiasm for my journey with every word. Last October, I supported my friend Kate McElroy on a self-designed hundred mile run, and I’m still in awe of her. My job as pacer was to help her maintain her focus and rhythm, to offer relentless encouragement, and, in the end, to witness her glorious success. It never occurred to me that it was strange to wake up at 3am and drive to Mt Hood, to sleep in a car at a trail head while waiting for her to arrive, to train to run 25 miles myself (a fraction of her effort) in freezing cold rain, or to wait for hours at the finish line to see her finish and celebrate her wild success. Why would those things be strange? She’d do the same for me. Angels to Alpine, Lolo Pass aid station, approx. 78 miles. ...And so would countless others in the trail running community. Kate said it best: “We do crazy things for each other. We stay up all night, running.” Diversity of experience, emotional connection to the process, and respect for each individual’s journey provide a solid foundation to the trail running community; we hold each other up. Sunrise run to Pittock Mansion. Being new to a community always makes me feel nervous about imposing. But when a community sets aside judgment and elitism, and instead emphasizes respect for each individual’s journey, I immediately feel at ease. Trail runners have respect for both the triumphs and the failures, for the personal bests and the DNFs, and when a community shows genuine interest in my growth, I feel at home. I found my place in the village and am now a part of the pack. Some days on the trail feel absolutely blissful and everything aligns: the sun shines, my muscles are powerful and my feet quick, and I can’t help but grin like an idiot while I cruise through the miles. Other days my confidence takes a hit and I find myself counting the minutes until it's over. On those days of self-doubt I remind myself over and over: I am strong on my own but infinitely stronger when connected to a community that understands and shares my struggles and successes. It takes a village to make a trail runner.